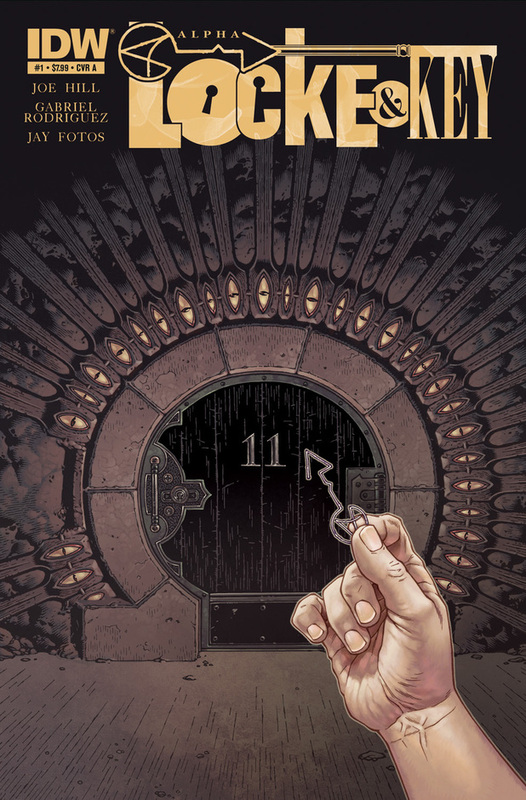 Locke and Key is the journey of the Locke family after the brutal murder of their father. The children: Tyler, Kinsey and Bode, find themselves uprooted from their home and sent to Lovecraft, MA to the home where their father grew up. The family is breaking apart with grief, not only have they lost their father, their mother is an alcoholic. Bode, being the youngest, tasks himself with exploring every nook and cranny of the house and soon finds a magic in the house that can bring the family back together or that can completely destroy them. At this point, I will assume that you’ve read the series … in the prior volume, Bode’s body has been taken over by a demon that had previously been occupying Lucas’ body. Tyler and Kinsey are completely unaware of this and relax hoping that the evil that has been dogging them relentlessly for the past year is finally behind them. Tyler, being the man of the house, never truly let down his guard. We know that Tyler has found a way to make a new key, and I’m sure each reader has dreamt up the key they would make. The final installment is brilliant. It was perfect. Cleaver, not exactly what I “wanted” but still perfect; and incredibly heartbreaking, I suggest going into this with a box of tissues next to you.